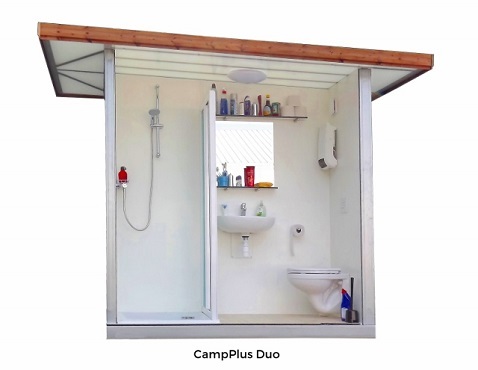 CampPlus produceert prive sanitair en flexibele sanitair units voor campings. What is a CampPlus unit? 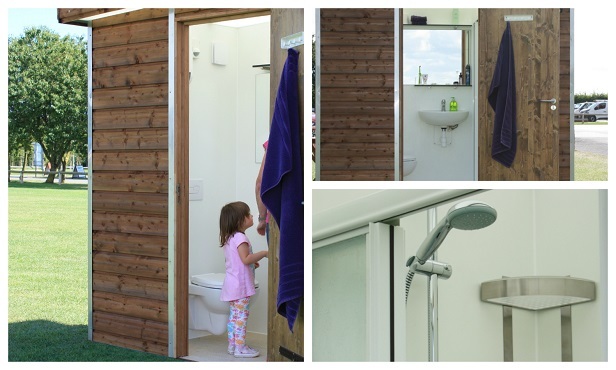 With a CampPlus unit, your guests have their own private shower room right next to their caravan or tent. Now that´s camping in style. 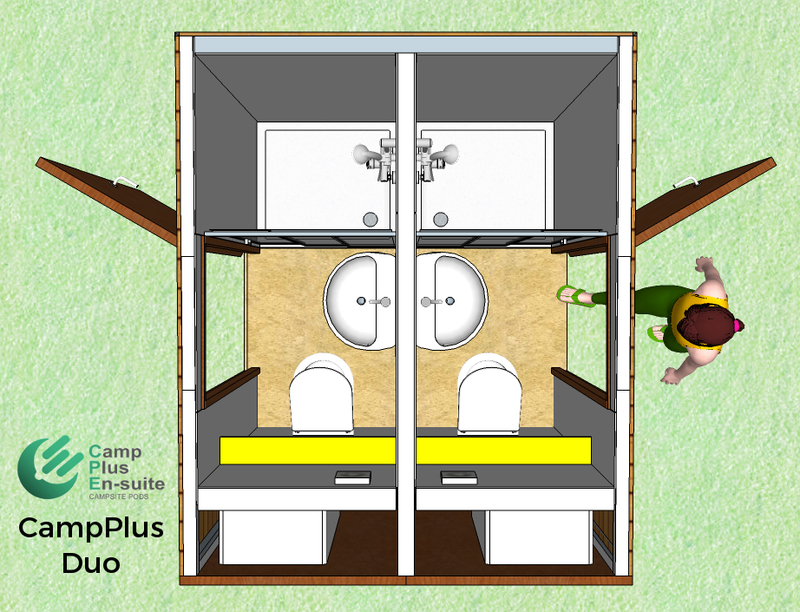 CampPlus units are plug & play: Just connect them to water, electric and sewerage and they’re ready to go. There are two options available: the Duo and the Solo. 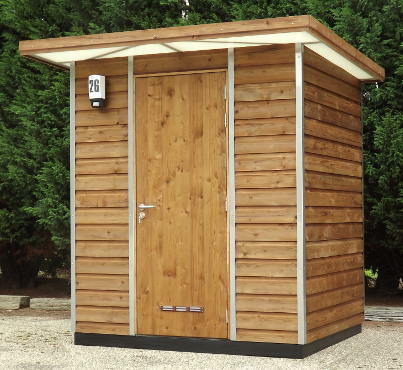 Semi-detached, it serves 2 pitches. Your guests share the small building but that’s all they share. Each side has its own hot water and electrical supply. State of the art soundproofing and a floating floor ensure that your guests have enough privacy. 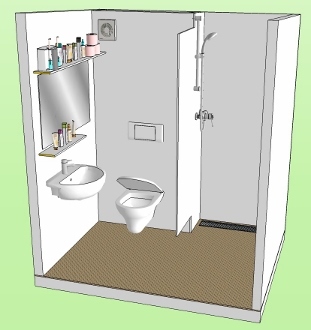 Surprisingly spacious with complete privacy. For your premium pitches, for those guests that appreciate the finer things in life and are willing to spend a little extra. 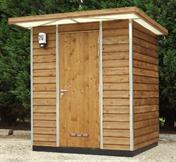 “ We have been really pleased with the customer reactions and forward bookings have been very impressive. 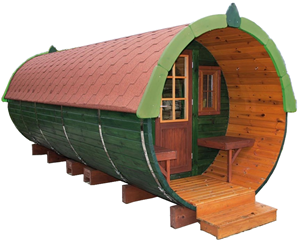 The Glamping Barrel will be launched in the UK at this year's Glamping Show. 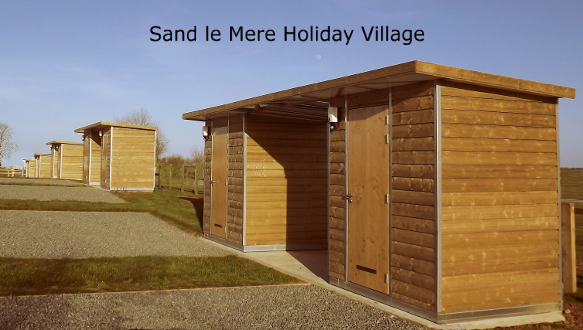 It's fun, it's adventurous, it's an accommodation with loads of character. Click here to go to the Glamping Barrel website.